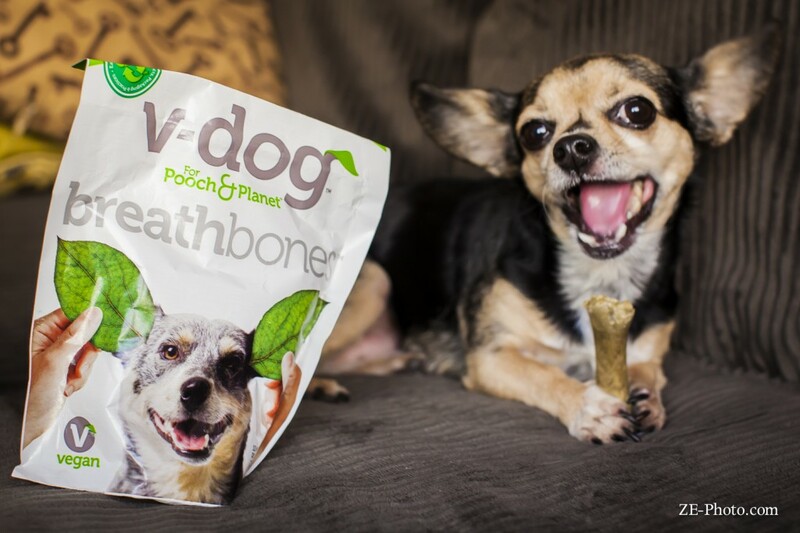 There are so many reasons to love V-Dog, but the main reason is you can feel confident that your companion animals are getting food free of animal products, wheat, corn, soy, gluten, GMOs, factory farming, by products, fake stuff, and fillers. What you’re left with is just wholesome, good ingredients that pack a whopping 24% protein. I was very excited when their breathbones came out because, seriously, Willow’s breath is the stuff nightmares are made of. We’ve tried everything to lessen the stank that emanates from her mouth, but I was convinced she was just rotten on the inside until I tried these breathbones. 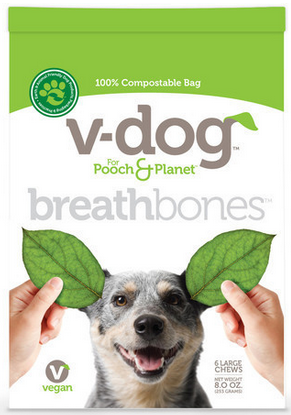 I could go into detail about what exactly her breath smells like but I will spare you all and just say that V-Dog breathbones definitely help her out in that department. Henry loves them as well, though his breath certainly isn’t as horrific. 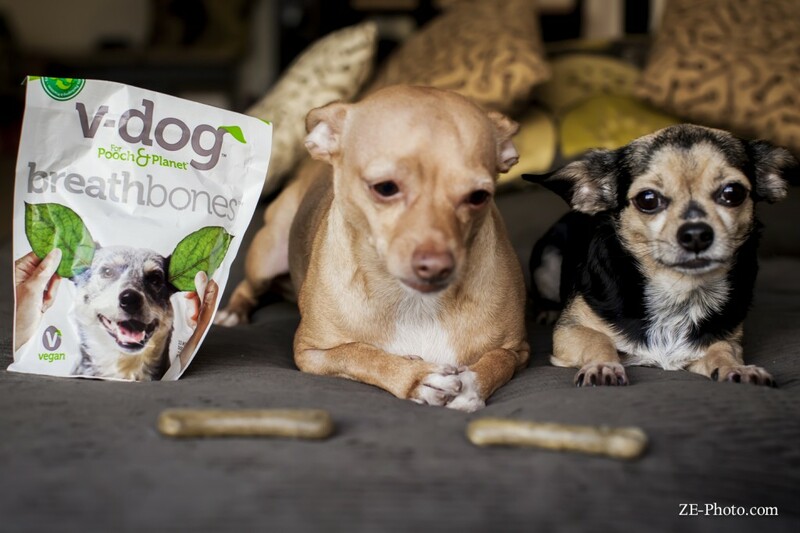 If you’ve been looking for a breath solution for your four legged friends or just want to try these out, then be sure to enter below for a chance to win one bag of these awesome dog bones! Open to U.S. and Canada residents only – make sure you leave an email so I can contact you if you win! Winner will be announced next Friday on the blog! **Dogs are omnivores which means they can live completely healthy happy lives without animal products and no it’s not cruel to make them do so. You can read more about it here.